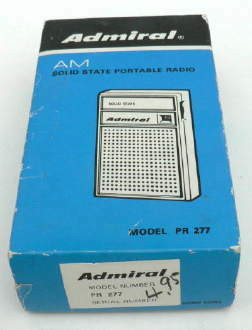 Admiral PR277 This little six transistor medium waveband (540 to 1600 kHz) radio dates from 1970.It was given to me by Bob Powell whose father owned a TV and Radio repair business in Victorville, California. Bob's father served in the US Navy in the twenties as an electrician's mate. 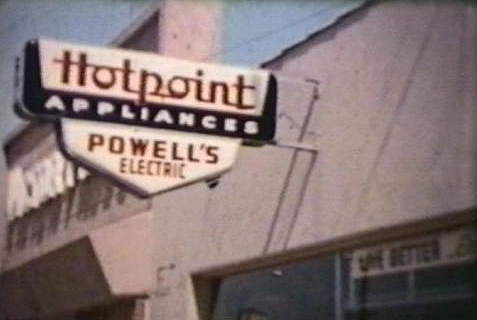 He started working for the local power company in 1927 and left to start his own business around 1945. He sold electrical appliances, radios and TVs. 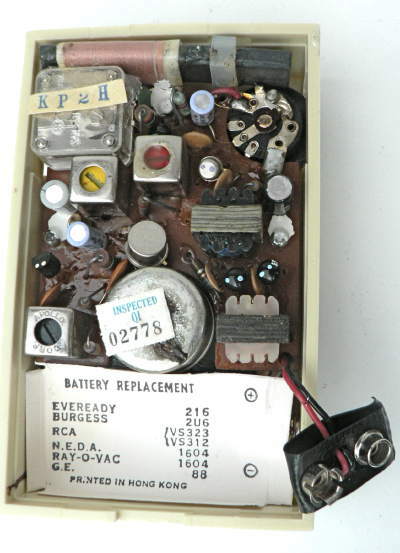 He was also a licensed electrical contractor and installed commercial and residential electrical equipment. Bob joined him in 1955 after four years in the Navy as an Electronics Technician and ran the radio and tv repair shop and did some electrical home wiring. We sold RCA tvs and I spent several years installing and repairing RCA color tvs from about 1959 to 1962 when he left his shop to begin a career at the local Telephone company as a microwave and radio repairman. It was here that he first met my brother and they have kept in touch ever since. 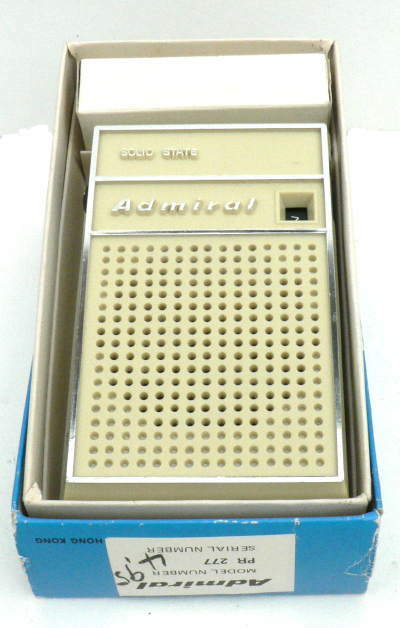 This radio has never been used and was powered up recently for the first time. 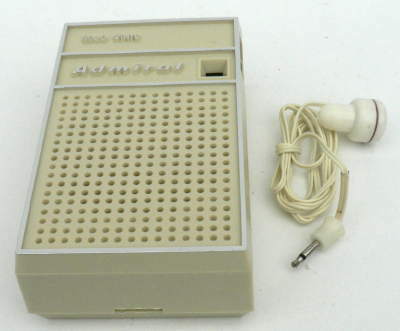 It is complete with original packaging, earphone and instruction leaflet. As can be seen from the box the original price was $4.95.